Veganism is a relatively new phenomenon in today’s culture. Some people consider it a lifestyle in that they believe using any type of animal product amounts to animal abuse, such as wearing furs, wearing makeup, silk or wool products. Conversely, some people become vegan only because of the health benefits that come along with it. 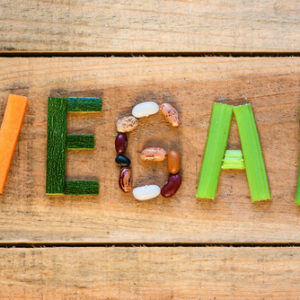 Vegans have a very restricted diet in that they do not eat any type of animal protein, animal products like milk or cheese nor anything derived from the animal used in food such as gelatin or even honey. There are many rewards that come along with this type of diet in the form of health benefits, but it can be difficult to maintain for some because of the discipline necessary to do so. So is going vegan worth the effort? First things to consider are the obvious health benefits that come along with a vegan diet. Vegans ingest lower amount of saturated fats than those who eat a contemporary diet, lower blood pressure, and lower cholesterol levels. The benefits of the vegan diet to the heart and the circulatory system alone are enough to change diets. In addition to the cardiovascular benefits, the vegan diet is more nutrient rich than a contemporary diet, and as a result vegans are at a lower risk of developing cancers and type 2 diabetes as well. Vegans also had healthier body weights on average when compared to those that incorporated animal products in to their diet. Vegans enjoy the benefits of lower body fat percentage, better muscle definition and better looking physique overall as a result of this diet. As mentioned earlier, maintaining a healthy diet when going vegan requires a bit of effort and discipline. Making sure that you eat a balanced diet is of paramount importance because you want to avoid the health risks that come along with being deficient in a particular nutrient. You want to make sure you are getting a good balance of macro and micronutrients, but these are the ones to keep your eye on in particular. Iron is usually not an issue in the diet because of how abundant it is in meat products. For vegans however, this becomes a problem. Vegans must make sure that they are consuming an adequate amount of foods that contain iron, preferably black beans, dark leafy greens like broccoli and spinach; and wheat. It is essential that enough iron is consumed in the diet because our body uses iron in the formation of red blood cells, which transport oxygen throughout the body. Without enough red blood cells, we will not have enough energy and feel fatigued, similar to the effects of anemia. Vitamin D is important in the formation of bone, and bone health. Vitamin D allows the body to easily absorb, synthesize and use calcium in forming bone. You should be getting some Vitamin D from exposure to sunlight, however in most cases this is an inadequate amount and we must seek more from our diets. Vitamin D is not that abundant in foods and thus vegans should seek out foods fortified with Vitamin D like almond, soy and rice milks. Taking a multivitamin that contains 100% daily value of Vitamin D is another viable option for vegans as well. Along with Vitamin D, calcium is important in maintaining bone health throughout the body. In addition to that calcium plays an important role in the regulation of our heart beat, making it even more important that we procure enough Calcium from our diets. If we don’t do so our body will leach the necessary calcium from our bones to make sure that our hearts still beat which compounds the problem of weakened bones as a result of a calcium deficit. Calcium is another micronutrient that can be found in fortified milks like its counterpart Vitamin D, and is also found in dark leafy green vegetables like spinach, broccoli rabe, and kale. Again like with Vitamin D, a calcium supplement is another viable option. It is difficult for vegans to get enough protein through their plant based diet. In addition to this eggs, red meat and some other animal based protein sources have a full amino acid profile where most plant based proteins do not. This is important to recognize because our body needs to acquire some amino acids that we do not produce on our own through diet. In order for a vegan to get all the necessary amino acids they are going to have to eat a much more varied diet than a meat eater would. This means they must get their protein through vegetables, whole grains, legumes, nuts, etc. ; where a meat eater does not have to. For example, a meal of rice and beans have a full amino acid profile, as does an egg. The point here is that getting the right amino acids from the vegan diet is definitely achievable, it just requires more effort than it would if they were on a conventional diet. Like Iron, the sources of food where Vitamin B12 is most abundant are animal based. These include shellfish, meat and dairy products. Vitamin B12 is arguably the most difficult micronutrient for Vegans to obtain through diet. Talking to your doctor about the best supplement option for you is the best option here. Omega 3 fats are essential for cell membrane function as well as brain function. The sources of food which contain the highest amount of omega 3 fatty acids tend to be animal based, however they can be gained through a vegan diet as well. Seeds and nuts are a good source of omega 3 fatty acids, especially flax seeds, sunflower seeds and pumpkin seeds, that also have zinc which plays an important role in immune health. The vegan diet requires a lot of variation in the diet from numerous food sources. It is not difficult to become deficient in a particular nutrient because one become undisciplined. It is important to remember that the vegan diet relies heavily on whole grains and vegetables for both energy and the essential nutrients they contain. Any changes in appearance or health including extreme weight loss, hair loss, muscle atrophy or decreased bone mass should be taken seriously, and a doctor should be consulted. 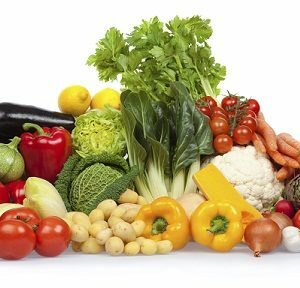 Aside from these minor considerations, a vegan diet is considerably more beneficial long term due to the reduced health risks associated with it. If used properly this diet can and will also be extremely effective in cutting fat and losing weight as well.